Because of our Clients; we're Golden! EDMONTON, AB., (September 2018) - Today, Primal Tribe Inc., an Edmonton & Vancouver based, internationally focused digital marketing company, is proud to announce its achievement of becoming a HubSpot Gold tier certified agency partner. Primal Tribe Inc. became a HubSpot partner in 2016 with the intent to incorporate HubSpot’s Inbound Marketing methodology and bring positive results to their client's marketing objectives. “Although we offer a large number of services, our partnership with HubSpot has provided full transparency of our customer's growth. 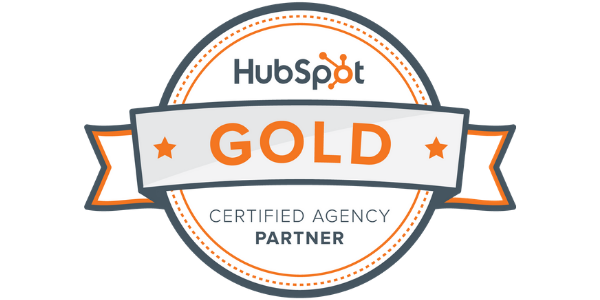 Becoming a Gold tier certified agency partner is a reflection of a successful partnership between ourselves, HubSpot, and our clients.” - Chris Lawson, Business Development Manager. This accomplishment has been achieved through Primal Tribe’s staff’s dedication to constant learning and personal development in addition to corporate vision alignment. Gold status is based on a small annual sales volume and a large monthly management component where client success is a prime factor. As a reflection of their achievement, Primal Tribe Inc can boast incredibly well-pleased customers who are currently using HubSpot tools and seeing great results. Of the announcement, HubSpot Channel Account Manager, John Serrantino says, "We are thrilled to welcome Primal Tribe as a HubSpot Gold partner. As a HubSpot partner since 2016, they have established themselves as a top Canadian partner dedicated to their client's success. Their vision and ability to execute on that vision via an innovative approach have been paramount in getting them to this milestone. I look forward to what the future holds!" Primal Tribe is a full-service digital marketing agency in Edmonton, AB and Vancouver B.C., who helped businesses find success and stay competitive online since 2000. Their experienced team of designers, developers, strategists, and marketers specialize in meeting your unique and challenging marketing objectives with tailored custom marketing solutions. HubSpot (NYSE: HUBS) is a leading CRM, marketing, sales, and customer experience platform. Since 2006, HubSpot has been on a mission to make the world more inbound. Today, over 37,000 customers in more than 90 countries use HubSpot’s award-winning software, services, and support to transform the way they attract, engage, and delight customers. The HubSpot Growth Stack, built on a powerful, free CRM and comprised of the Marketing Hub, Sales Hub, and soon to be released Customer Hub, gives companies all the tools they need to manage the entire customer experience from awareness to advocacy. We are a digital marketing agency helping you build meaningful relationships with your customers. Let’s talk about adding our strength to yours.